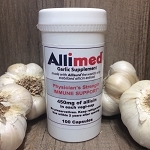 Allimed's stable allicin Liquid Garlic Supplement 4 oz from BuyAllimed.com. 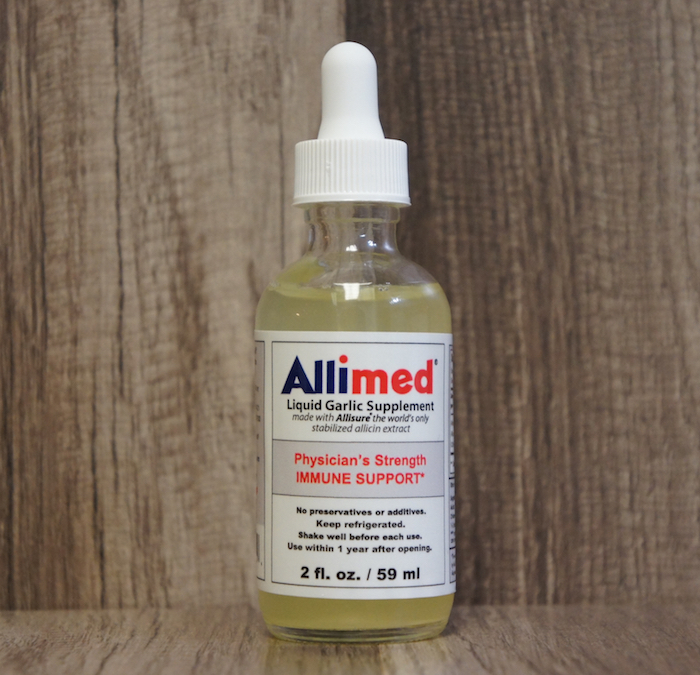 Allimed Liquid Garlic Supplement - four ounces of liquid Allimed in a glass bottle (no dispenser). Ingredients: water, allicin. I started with the 2oz, now I'm up to the 4 oz. So many uses will probably go up to the 8oz. My 90 year old mother has used this for an h-pylori infection. She feels that it helped her to overcome the symptoms and restore her health, and it's easy to take. She opted to try the Allimed instead of the traditional triple therapy (a proton pump inhibiter & two antibiotics) the Dr. suggested. I myself have used it to ward off a cold and found it works wonders.